Microsoft has released a handy tool for helping it’s customers who downloads windows 7 media from their stores. The ISO download format has to be written to a DVD using one of the image burning softwares. 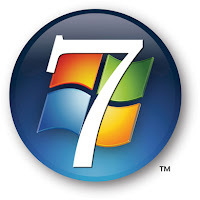 The Windows 7 USB/DVD Download tool allows you to create a copy of your Windows 7 ISO file on a USB flash drive or a DVD. Refer to this page for more details about the tool. Previous post: Did u observe?